The Covenant Car Company, the new distributor of Chevrolet vehicles in the country, has been teasing our fancy by trotting out a V6 Camaro around the car-show circuit. In fact, we already featured this very unit in our January/February 2010 issue. Thus, the prospect of the Camaro being officially brought to our market is technically a foregone conclusion. We believe Covenant is already taking orders for the V6 model, which, as far as we know, is priced around the P3-million mark. ASSEMBLER'S PITCH: "The wait is over. After a seven-year hiatus, the all-new Chevrolet Camaro is back. With a design that is very close to the original concept, the 2010 Camaro acknowledges its heritage from the first-generation Camaro, produced from 1967 through 1969. It combines great looks, performance and advanced technology. 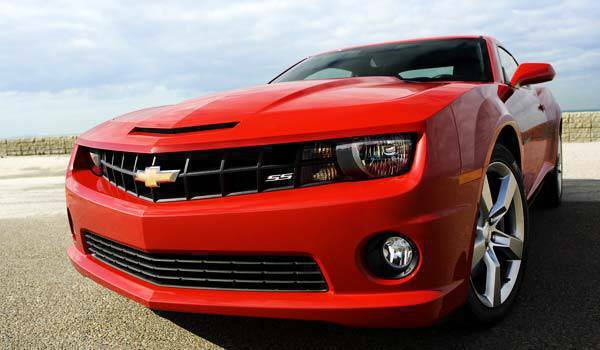 The performance-oriented Camaro SS features a pair of 6.2-liter V8s, including one with Active Fuel Management that helps improve fuel economy by shutting down four cylinders during certain light-load driving conditions."